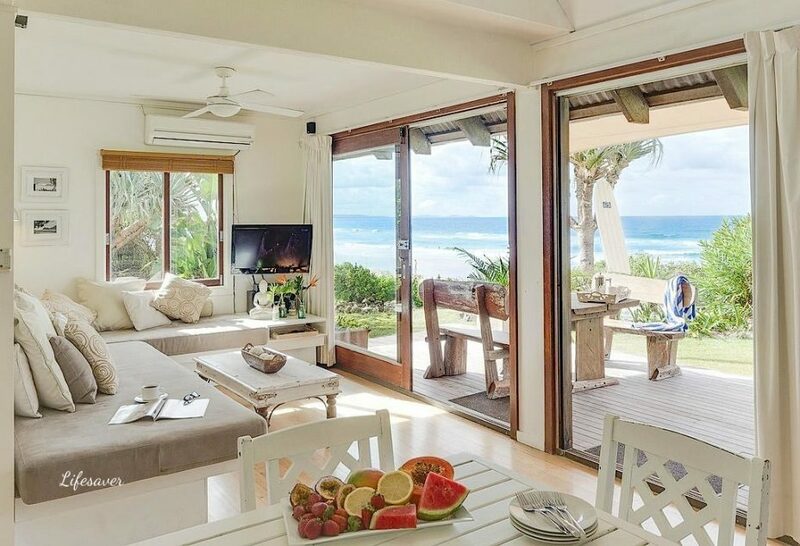 The perfect beachfront escape. 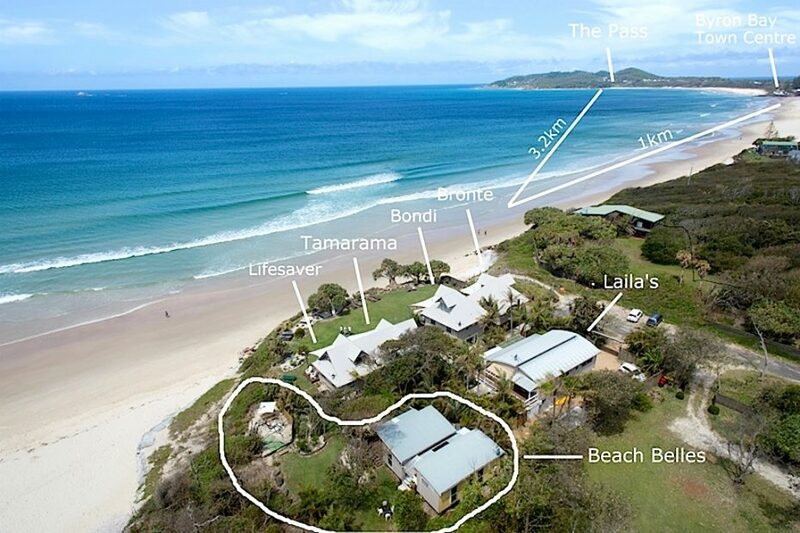 Bluewater is located in one of the best locations in Byron Bay. 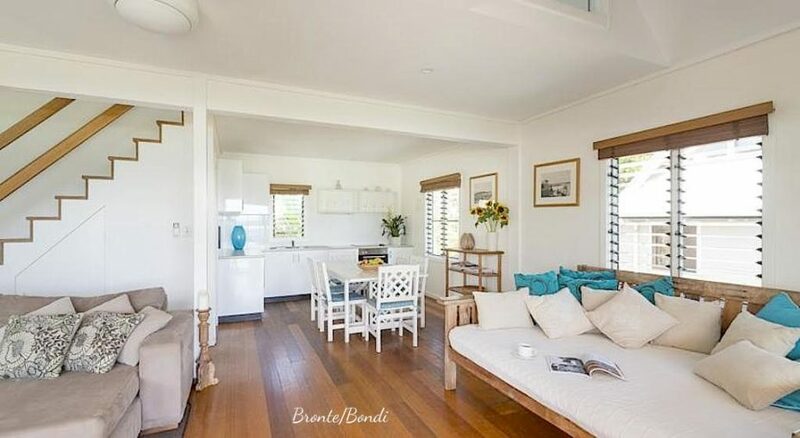 Bondi and Bronte are standalone, beachfront two level self-contained villas with amazing views from every room, each with a large deck and separate beach front deck. 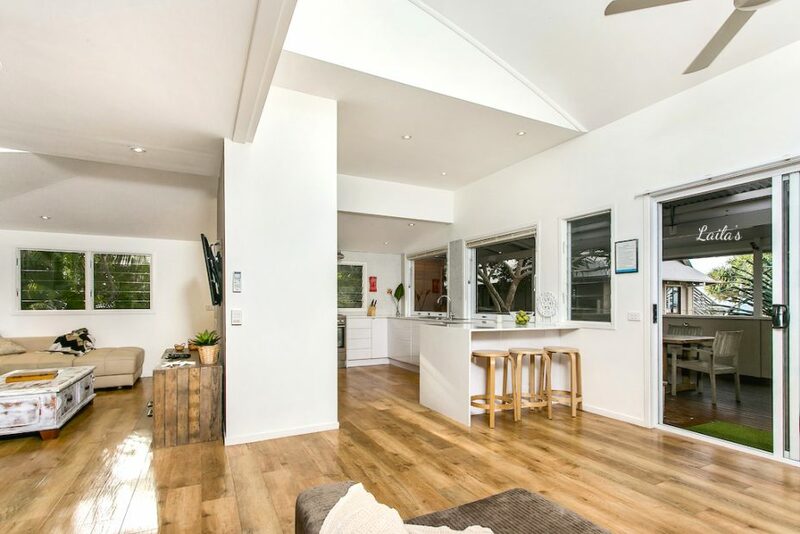 There is an open plan kitchen, living, dining area and a bathroom with internal laundry. 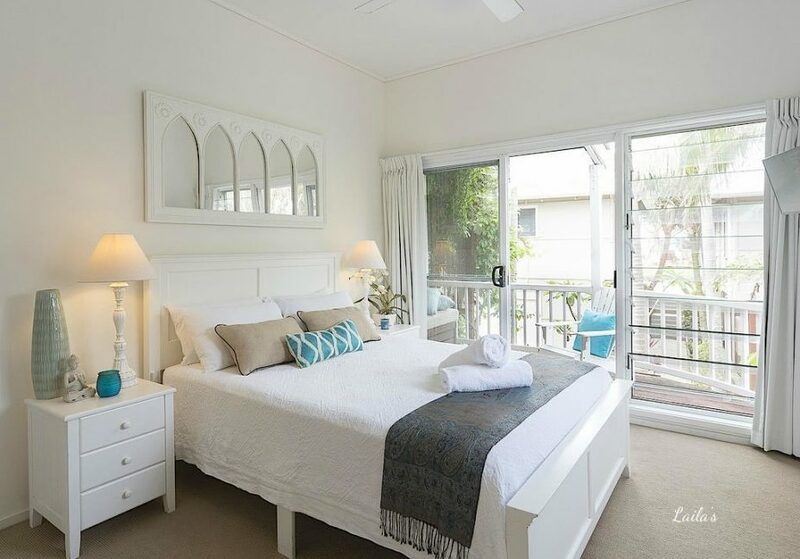 A queen size day bed on this level allows for extra guests, on the top floor is one bedroom with vaulted ceilings and a queen size bed (has enough room for a cot). 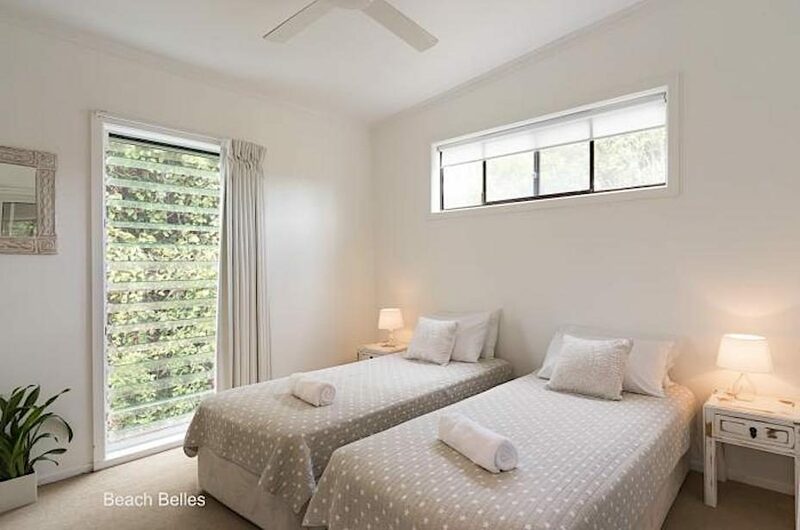 Bondi and Bronte can sleep up to four guests each. 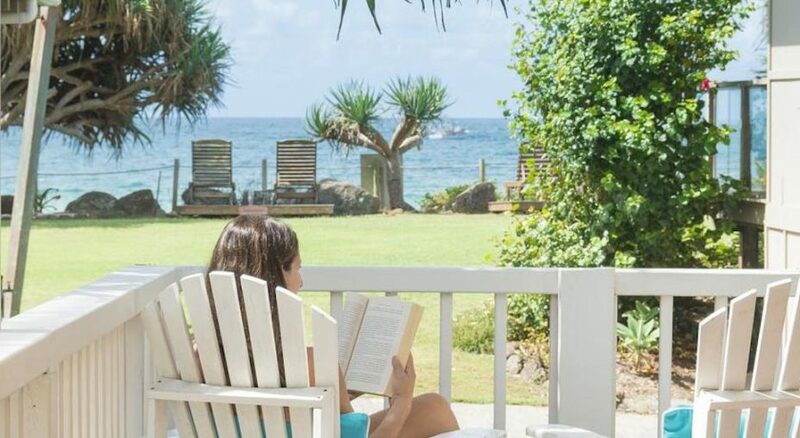 Lifesaver and Tamarama are adjoining, beachfront two level self-contained villas each with large deck and direct beach access. There is open plan kitchen living and dining area and a queen bedroom. 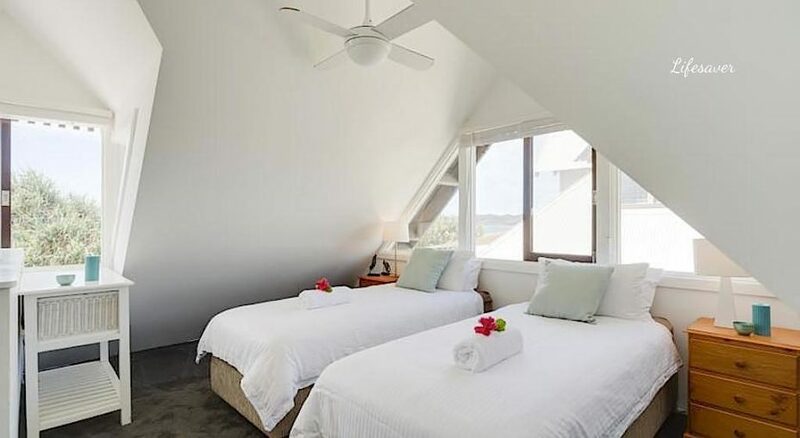 Both cottages have a 2nd level with an king bed that can also be split into two single beds plus there is also a third single bed on this level. 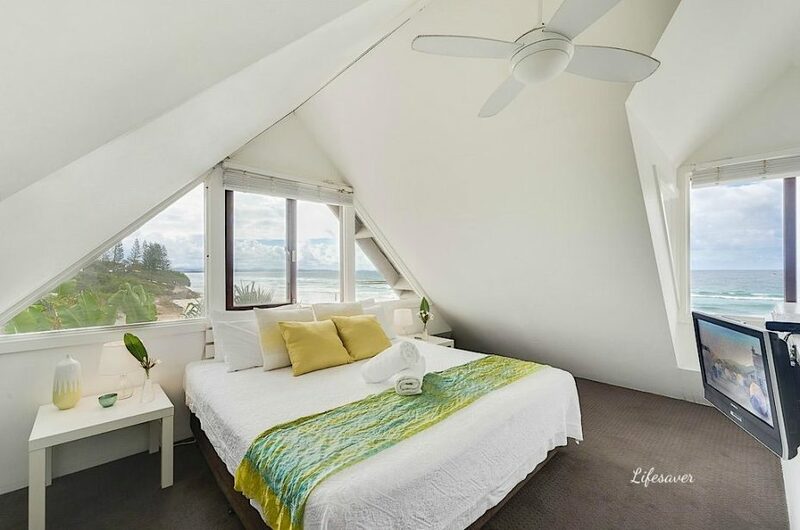 Lifesaver and Tamarama can accommodate up to 5 guests in each. Laila’s is a spacious light filled 3 bedroom, 2 bathroom upper duplex. 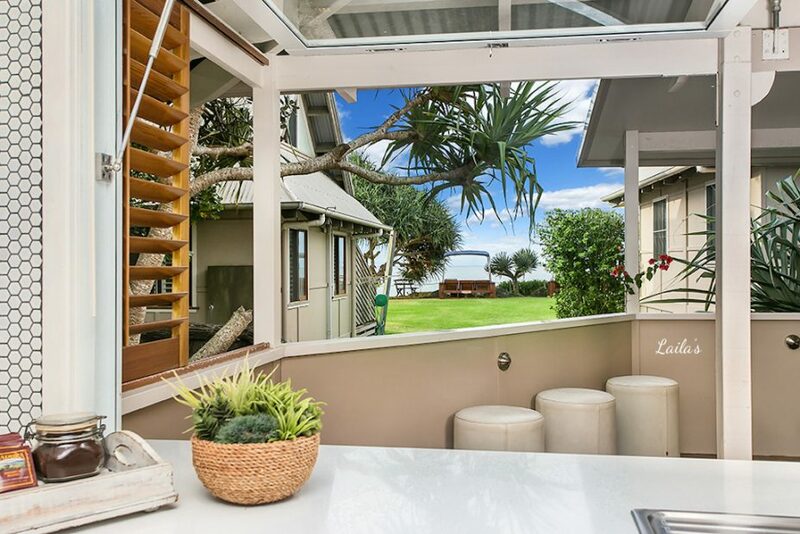 Boasting an open plan modern kitchen with breakfast bar leading onto an alfresco dining area balcony with views of the ocean. The large Living area is comfortable for a small family. 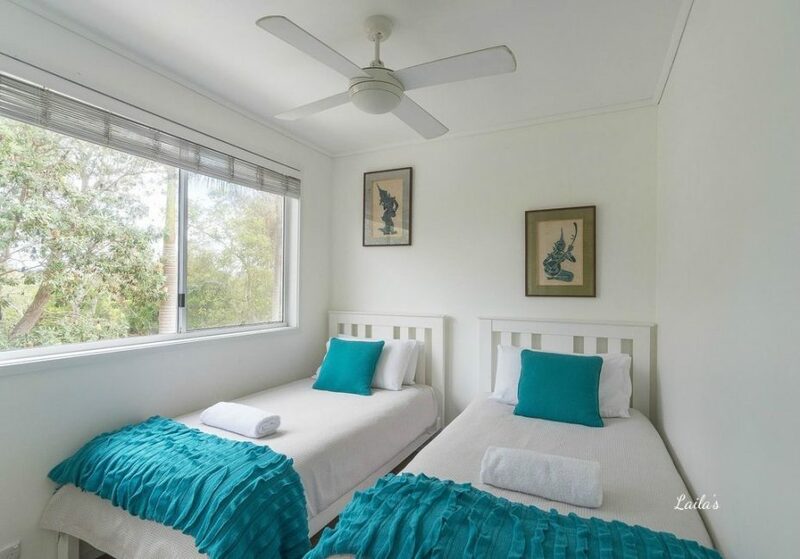 The main King size bedroom has an ensuite, the second bedroom, also with a King that can be split into singles and 3rd bedroom with 2 singles, both sharing a second bathroom with separate WC. All bedrooms are equipped with built in robes. This villa is perfect for a family, beach style holiday with lots of room, sleeping up to 6 guests. 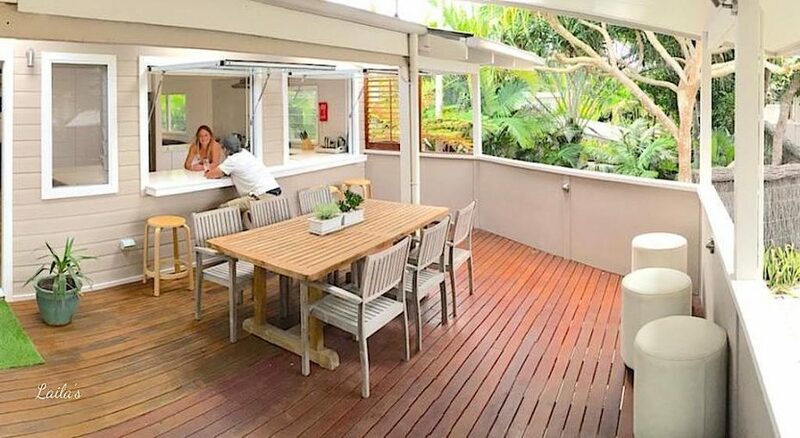 It also has its own beach front two person sun deck on the main front lawn with direct beach access. 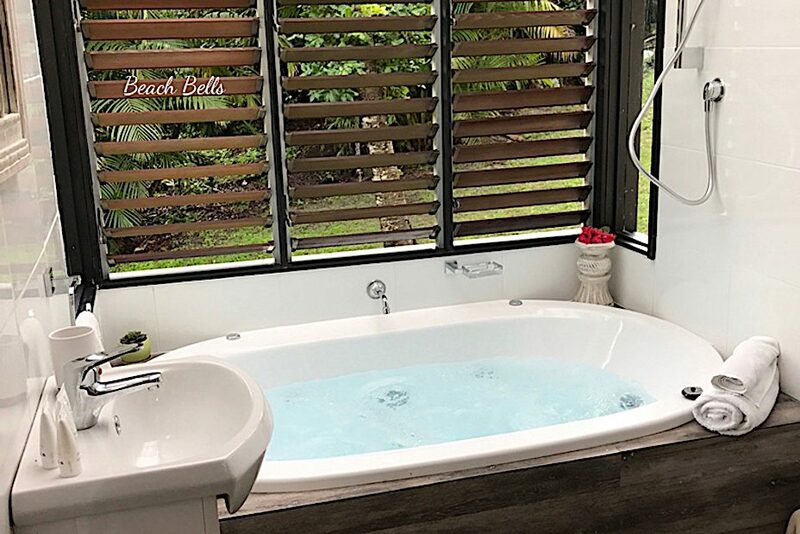 Beach Belles is a stones throw away from the beachfront and has private beach access, which makes this stylish cottage very popular. 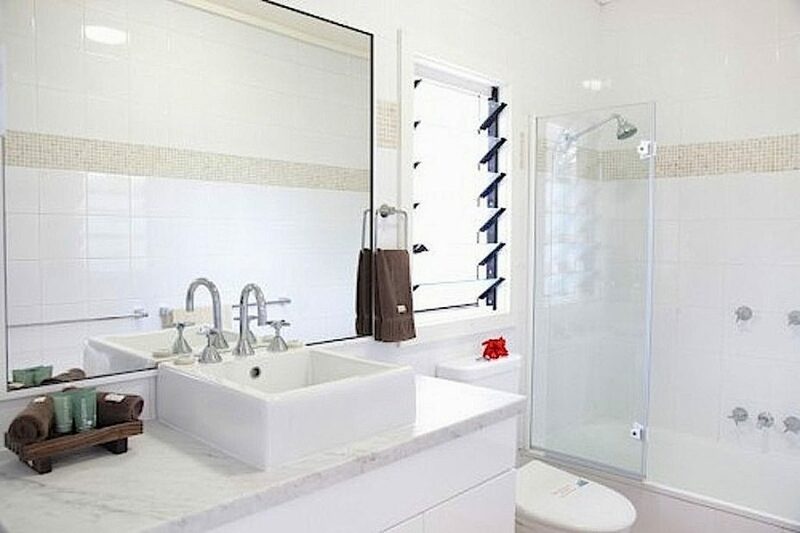 It features two separate modules one with two bedrooms, King and two singles with connecting bathroom. 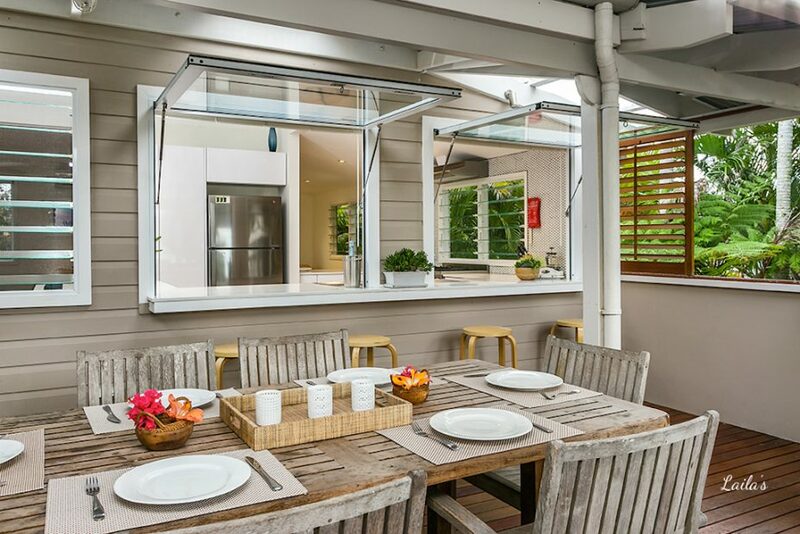 The other module is an open plan living and dining kitchen area that flows onto an entertaining deck. It is air conditioned. 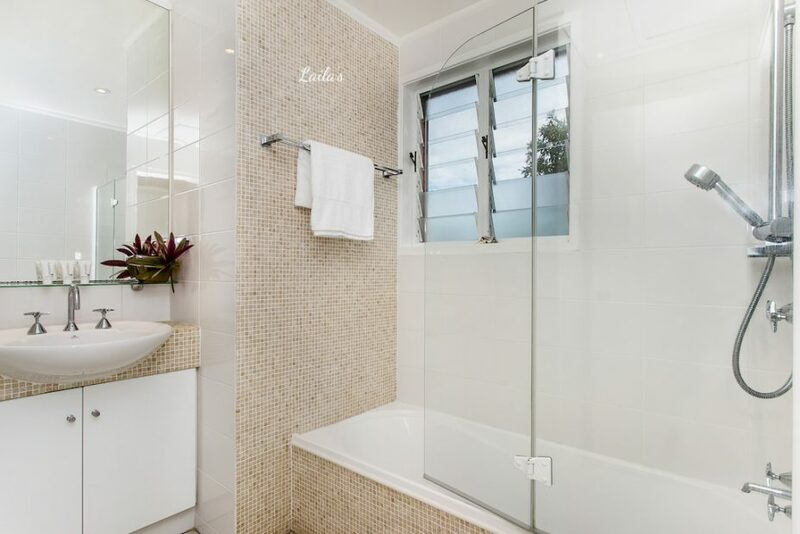 There is also an out door spa bath and shower and the whole property surrounded by tropical gardens. 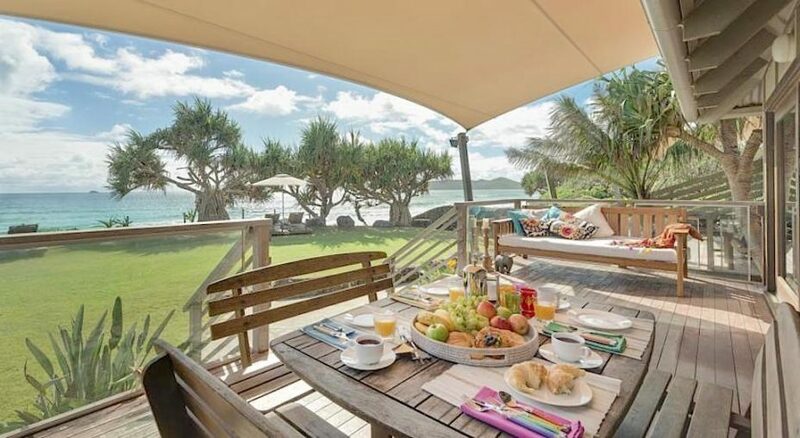 The property also has its own beach front area with sweeping views north up the beach, perfect for afternoon drinks watching the amazing sunsets to the west. Bluewater also offers free use of bikes, surfboards, onsite massages, DVD’s and board games. 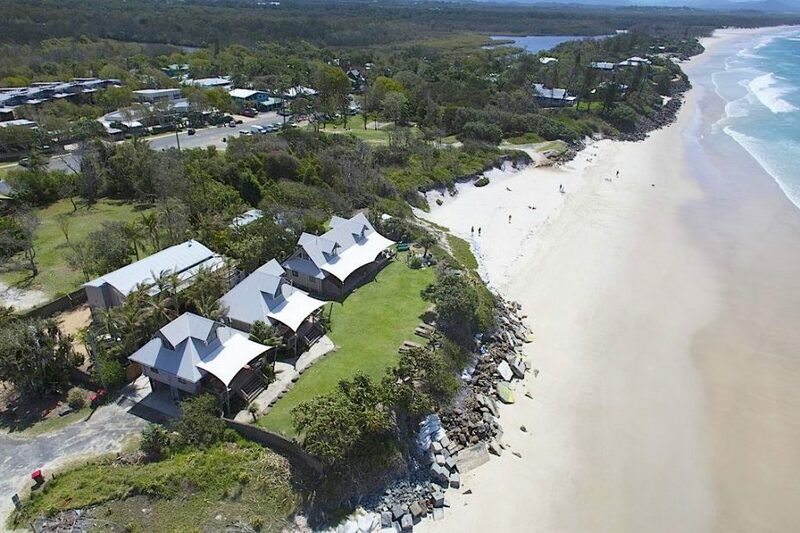 Take a stroll along the beach to Byron town centre. 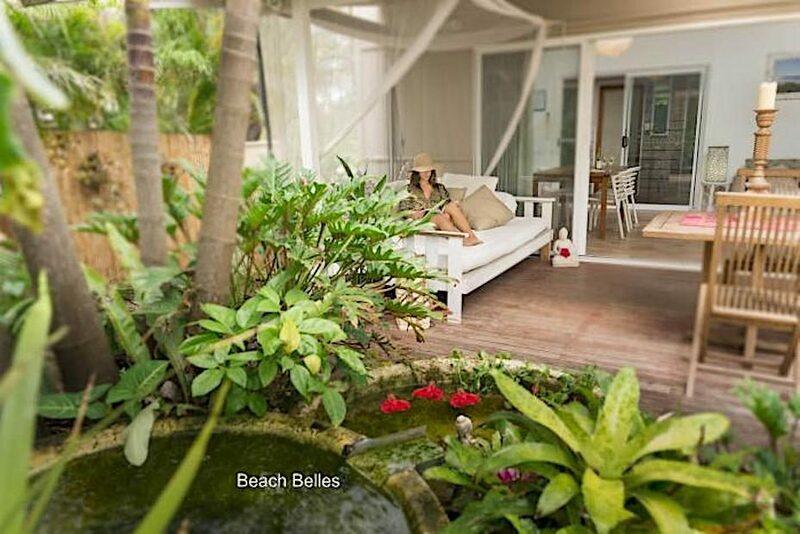 Belongil Beach is ideally located just 1.5km north of Byron’s town centre. The unspoiled white beach is only a few steps from your holiday accommodation. 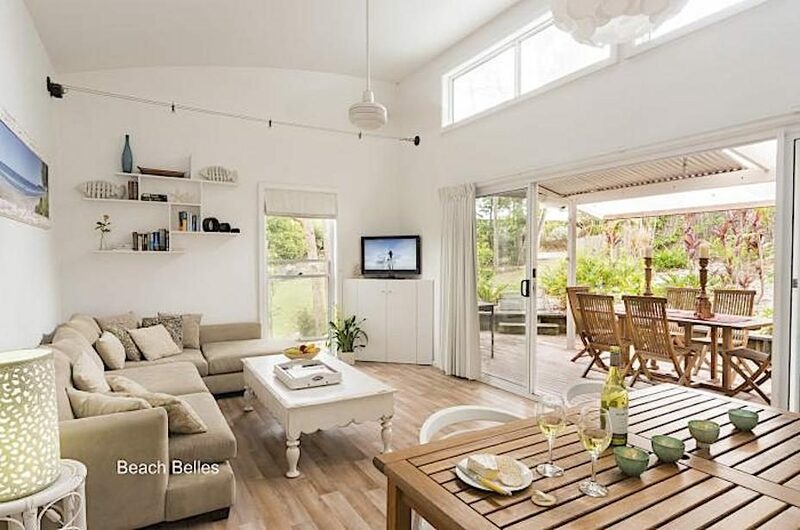 A leisurely 15 minute stroll along the beach will find you in the heart of Byron Bay. 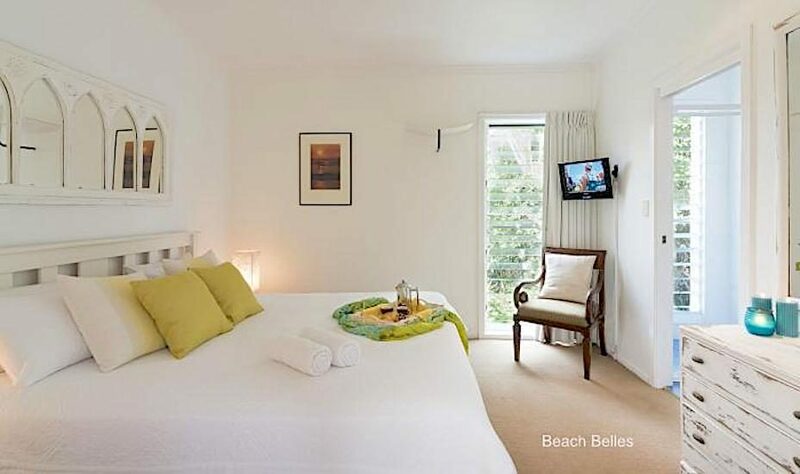 We had the most wonderful stay at Beach Belles. It was so private, yet so close to the beach! We loved having our own space where we could relax and our own private table and sun lounges overlooking the beach for sunset drinks. The free bikes, surfboards, sunbeds etc were great. We loved the location, being out of town was so peaceful however everything you need is a stroll, jog or bike ride away. The managers were just lovely and super helpful too. We will definitely return, thank you!